Migmar Tsering (far left) and his students. Some music instructors might feel disappointed if their students were to stop playing after a few years. But Migmar Tsering doesn't feel that way. 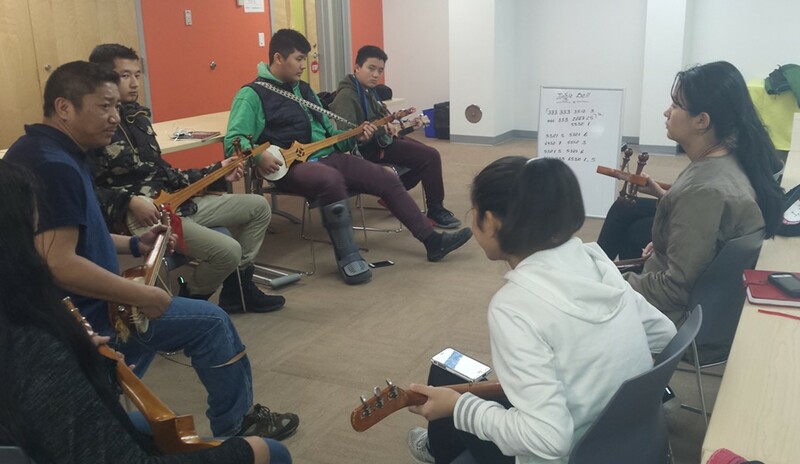 Just over a year ago, the Tibetan man started a music school, Rolyang Lobling, at King Street Center in Burlington to teach local Tibetan youth how to play the dramyin — a traditional Himalayan lute. 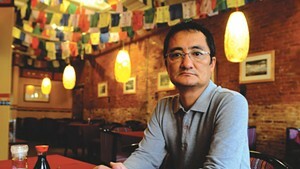 Through music, he hopes to inculcate a sense of Tibetan identity and camaraderie among his students. Even if his students eventually stop attending Rolyang Lobling — which translates to "class of music" in English — or playing the dramyin, Tsering is confident that his efforts haven't gone to waste. "Now, they know they are Tibetan kids," said Tsering, whose two daughters also attend his school. Music is in Tsering's blood. When he was a student in Dharamsala, India, in the 1990s, he was in his school band, where he played the flute, trumpet and bagpipe. He later taught himself how to play the dramyin. He and his classmates often performed at cultural events, which were important in the preservation of Tibetan culture. In 1959, the Chinese government cracked down on a Tibetan uprising, which forced thousands into exile into countries such as India. Among them was the Dalai Lama, the spiritual leader of about six million Tibetans. Since then, the Tibetans in Tibet have experienced a "cultural genocide," said Tsering. 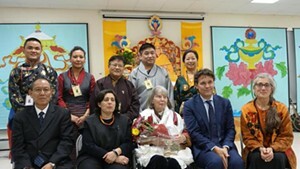 Hence, the onus is on overseas Tibetans to practice and preserve their traditions, he continued. 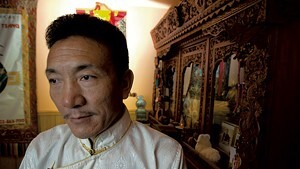 Tsering described his music school as a "small attempt" in that collective effort. Fifteen middle and high schoolers are currently enrolled in the school. With financial support from Vermont Folklife Center, Tsering was able to purchase instruments for his students, who are divided into two age groups. Tsering spent the first year helping his students achieve small milestones. 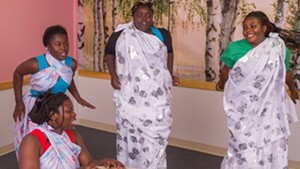 These included holding the dramyin in a comfortable position, identifying musical notes, playing the instrument without having to look at their fingers. He also instructed them to listen to Tibetan folk music, as well as to play familiar tunes such as "Happy Birthday" and "Are You Sleeping, Brother John?" 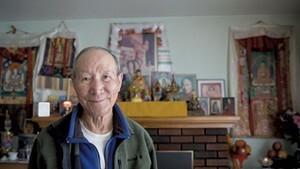 Tsering admits that he finds teaching Tibetan youth in the U.S more challenging than when he taught in India. The environment isn't quite as conducive, he continued. 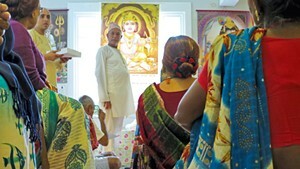 Here, the younger generation speaks English, listens to English-language songs and watches English-language movies. But the key to keeping them interested, Tsering said, is to "keep them busy" and have a systematic lesson plan. And his efforts seem to have paid off. Last Friday, one of his students, Tenzin Kunsang Geygong, asked if Tsering could teach them how to dance. "If you want," said Tsering. 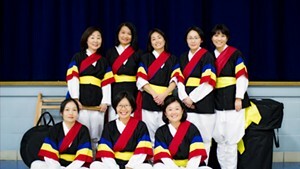 Geygong later shared with Seven Days that she has played the dramyin during Tibetan gatherings. Her friend, Tenzin Chozin Mentsang, added that they are likely to perform again during the upcoming Losar, the Tibetan New Year festival. Senghe Dhondup said he's been with the class since the start because he wants to learn how to play the dramyin. Another student, Ogyen Anak, said he tries to attend the class as often as he can, but that's difficult because he has basketball practice. While his dramyin skills might be "a little rusty," he's still able to keep up with his peers. Now that Rolyang Lobling is in its second year, Tsering has set bigger goals. For instance, he plans to teach his students more Tibetan folk songs. He also wants to start a new class for younger children. "Sooner or later, every Tibetan kid in this community has to get a chance to learn and try Tibetan music and Tibetan dance," Tsering said.